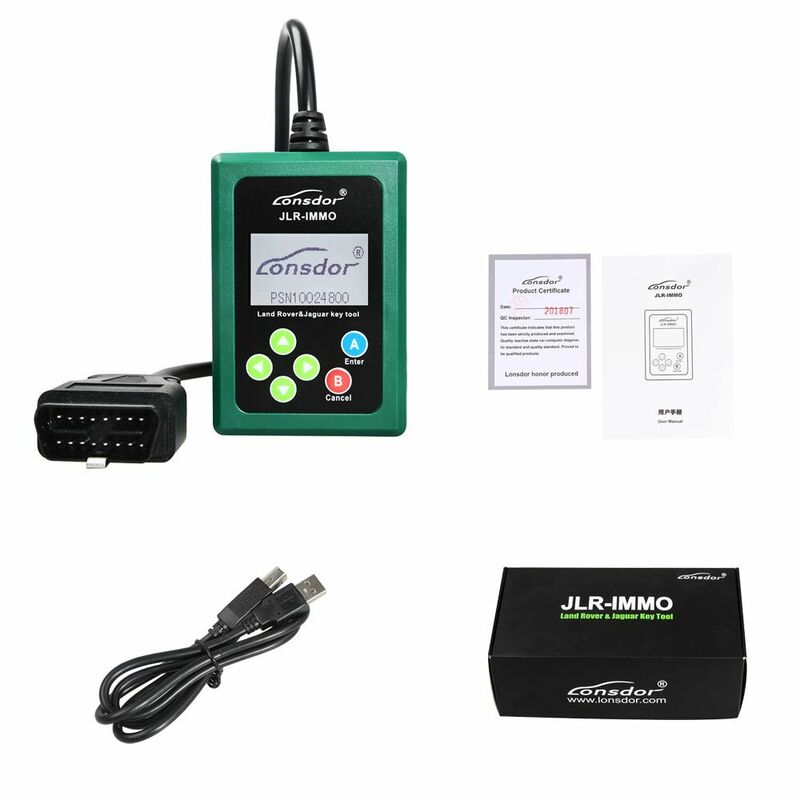 Lonsdor JLR IMMO Land Rover&Jaguar Key Tool released for Land Rover&Jaguar Key Programming. What car does Lonsdor JLR immo tool support? Eobdtool.com share as Lonsdor JLR immo Land Rover&Jaguar Key Programming tool car coverage as following. Jaguar Land Rover special anti-theft matching device, supports key matching of more than 95% of Jaguar Land Rover models on the market (the old Jaguar VPW protocol does not support). Lonsdor JLR IMMO support the new (after 2016) Jaguar Land Rover OBD match. Most KVM boxes Lonsdor JLR IMMO can support free-to-match matching. Need Lonsdor JLR IMMO Land Rover & Jaguar Key Tool Lonsdor JLR IMMO Land Rover & Jaguar key prorgamming tool just contact us freely. « Why choose Mercedes Star Diagnostic C4 Mux With laptop full set?